Arcadia, NY (October 2, 2018) – A crash in the town of Arcadia claimed the life of a 16-year-old boy from Red Creek High School, Monday night, October 1. According to investigators, high school junior, Devan Jackson died after the car he was in went off the road at around 11:30 p.m. The accident occurred on Blue Cut Road as the vehicle Jackson was in struck a sign and a utility pole before flipping over onto its roof during the crash. It is unclear as to whether or not any other vehicles or factors such as mechanical failure was involved in the accident. Nevertheless, the driver of the vehicle, a 17-year-old boy from Newark, was immediately taken to a local hospital with injuries that were classified as non-life-threatening. No charges have been filed against the driver at this time, however, a thorough investigation into the crash is currently ongoing. Before anything else, we would like to extend our deepest condolences and our warmest thoughts and prayers to the loved ones of Devan Jackson. This is undoubtedly a devastating time for those affected by this crash, and it is important to know that you may have rights moving forward. The driver of the vehicle or even the vehicle itself may be proven responsible for this accident, at which point, the family members of the victim may have the rights to seek compensation if they wish. 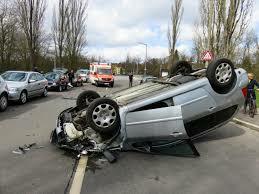 A New York car accident can leave a tremendous amount of physical, emotional, and financial woes in its wake. At Hach & Rose, we understand the life-altering nature of a New York car accident, and we are passionate about holding negligent drivers and other entities responsible for the devastation they cause. If you have lost a loved one in a New York car accident, please don’t hesitate to call 212-779-0057 and let us put the experience of our New York accident attorneys to work for you.